It’s not often you will hear me say to opt for the knock off verses the real thing, but when it comes to furry little woodland creatures I make an exception. Now in full disclosure I do have a few vintage hand-me-down real fur items but as far as shopping new fur off the rack I have just never in good conscience been able to do so. BUT NO judgement on those who opt for the real thing as we are all able to do what is right for ourselves as we are all singular individuals. 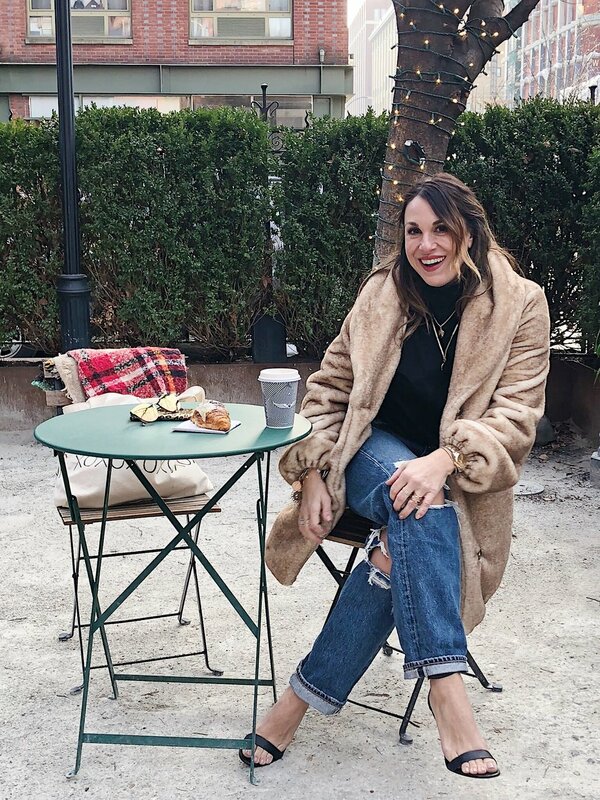 What we can agreed on is whether you are pro real or pro faux we can all agree that these beautifully soft and fuzzy coats are a must in any closet! 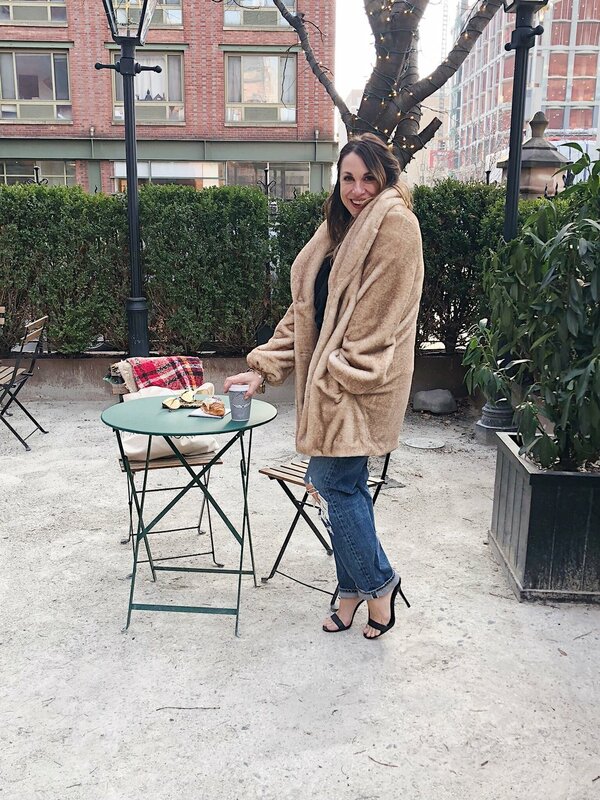 Here I am wearing my newest favorite faux fur piece and I must be honest and say the “furs” are quickly taking over my coat closet and all other coats are being overrun. Even if you live in a warmer climate like California or Texas you can do a very light weight or shearling style that works for your winter on the cooler days or at night and in the morning when temps drop. These faux options have all the same winning qualities as a real fur— glamour, timelessness, comfort — with none of the bad feels ‘that can be’ associated with real fur. Or maybe you are cool with wearing real BUT your wallet says otherwise. The faux versions are often much more kind to your pocketbook. Back when brands first started catching on to the obvious ethical faux pas associated with fur coats, their fake alternatives were iffy at best. But times have changed. This season, we're seeing a whole slew of faux fur outerwear options that are almost impossible to differentiate from the real thing. Gone are the days of tussled and far less luxurious imitations of the coats lining your grandmother's closet. From bold hues to shearling alternatives, crop or long there are so many fantastic styles out there! P.S. One good tip is to just stay away from anything that looks shiny. When the material looks shiny it also looks cheap which is never a good thing.